Belinda Johnson is making mentoring her mission in Silicon Valley. Airbnb’s Chief Business Affairs and Legal Officer Belinda Johnson speaking at the annual Airbnb Open in Los Angeles, November 2016. Airbnb's chief business affairs and legal officer Belinda Johnson is a problem-solver. A lawyer with over two decades of experience, Johnson was Airbnb co-founder Brian Chesky's first executive hire in 2011 and has since been responsible for ensuring the company operates smoothly in all of its 34,000 cities across the globe. 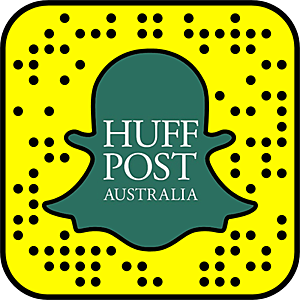 "Part of my job is making sure we are staying as nimble as possible," Johnson told The Huffington Post Australia. As the company's highest ranking female executive, it is her job to oversee a complex realm that goes far beyond legal operations alone, making top decisions around public policy, leadership strategy, communications and philanthropic campaigns. As Chesky's "number two" she is also largely responsible for the revolutionary social movement that underpins Airbnb, propelled by its 600, 000 hosts worldwide who monetise their extra space to friends they haven't met yet. This year marks Johnson's fifth year anniversary with Airbnb. "I was first attracted to Airbnb because it's a movement on top of a business model. I had a sense that it could be a very viral experience," Johnson said. Her intuition turned out to be on the money, and after reaching out to practically "everyone she knew" for an email introduction to the founders, Johnson met with Chesky. Five years later, she is the woman behind the man who runs a $30 billion company. Their relationship is often compared to that of Mark Zuckerberg and Sheryl Sandberg's, who together were responsible for Facebook's evolution. But if you thought Johnson was confined to her Silicon Valley corner office all day, you'd be mistaken (she doesn't have an office by the way, "it's a space"). Johnson is much more interested in talking about company culture or the mentoring role she has naturally fallen into. "It's become really rewarding for me to be able to spend that time [with other women] because I wish I had somebody when I was much younger saying 'yes, go and do this' or 'why aren't you thinking about this other role,'" Johnson said. Feedback and using mentors is something Johnson believes is company gold. "It was a different time in the early 90s. It was very hierarchical and people didn't reach out, it just wasn't a normal thing to call someone up for advice," Johnson said. It's become really rewarding for me to be able to spend that time [with other women] because I wish I had somebody when I was much younger saying 'yes, go and do this' or 'why aren't you thinking about this other role. As the mother of two young girls, Johnson explains she almost forcibly encourages them to get feedback from their school teachers. "I love it when someone asks if I have any feedback, but a better question is 'what feedback do you have for me?' it will illicit a more direct response," Johnson said. 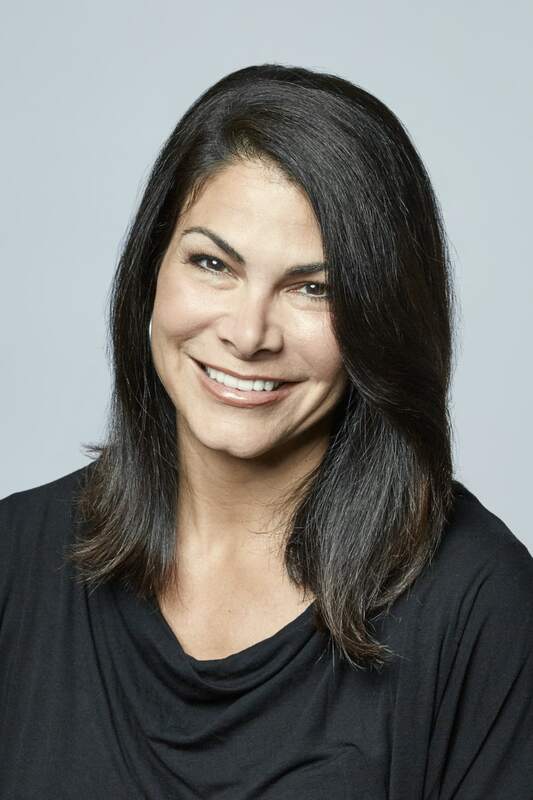 Prior to Airbnb, Johnson spent 12 years at Yahoo, 10 of them as deputy general counsel where she fought off a six-year copyright infringement suit from Sony BMG. With hindsight she admits she probably stayed in that one position too long though it was at a time in her life when she was starting her family. 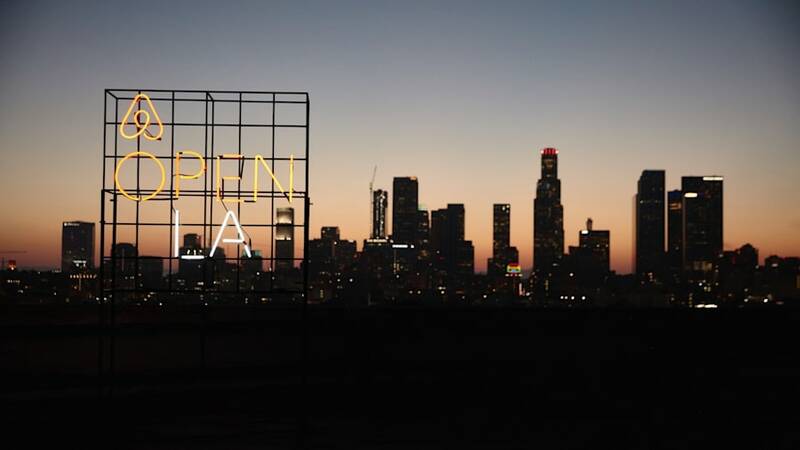 More than 6,000 Airbnb hosts gathered in Downtown LA for the annual Airbnb Open in November. "What was driving me to leave at the time was new experiences and I could have done that perhaps three or four years sooner," Johnson said. Her advice? "If you feel like you're getting in a rut, you probably are." Johnson wore lots of different hats in the early days of Airbnb and today as a manager of more than 100 employees, this kind of approach is what she looks for most. "The people that do really well are those who don't get entrenched in one position," Johnson said. Curiosity, willingness to learn and explore different ideas are the qualities Johnson admires most in her employees. Getting uncomfortable is something Johnson has always been up for. "My dad always encouraged me to go and do the things that didn't feel natural. Upon reflection, that was really defining for me," Johnson said. I've been more disappointed about not trying something, as opposed to trying something and not succeeding and failing. It's something she too has passed on to her daughters. "It's a really important mindset, to be able to go out there and be told 'no' and just keep going for it," Johnson said. Her ferocious ability to keep striving for an outcome makes Johnson an indispensable force throughout the dozens of legal issues Airbnb has encountered in recent years. Dialogue and illuminating creative thinking is Johnson's expertise. She is infiltrating such mastery both throughout Airbnb's global footprint and at its San Francisco headquarters. She explains "regular operating meetings with leadership has been a recent focus of mine because, as a company experiences hyper growth it's important everybody is informed to make the right decisions." With no women sitting on Airbnb's board, Johnson's mission is to inspire a vision in her younger female colleagues. "I'll often have women say to me, 'I never thought about doing that' and my answer is always, 'well you should imagine it, and then go and do it.'" If it doesn't work out, Johnson offers, "I've been more disappointed about not trying something, as opposed to trying something and not succeeding and failing," Johnson said. "The best learning comes from failing, always."